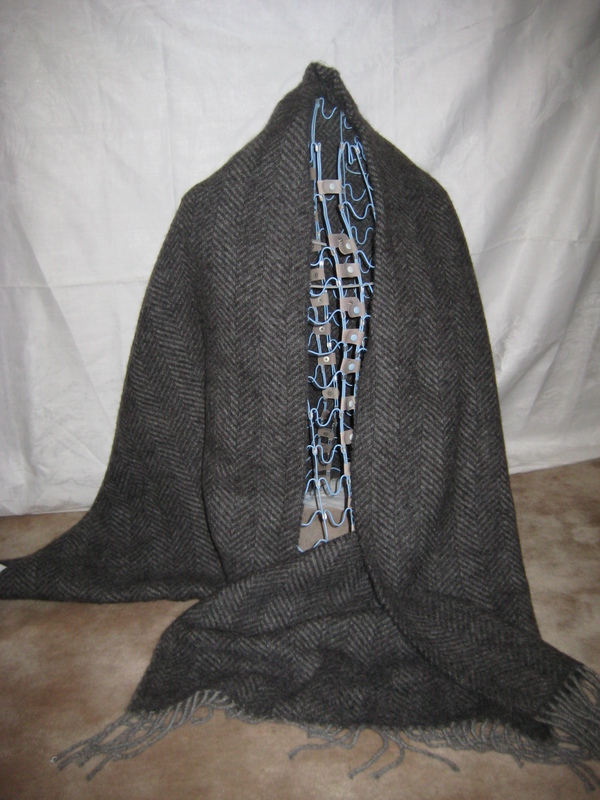 I have beautiful blankets, woven expertly by Raymond Jones at Melin Teifi, next to the Welsh National Wool Museum. 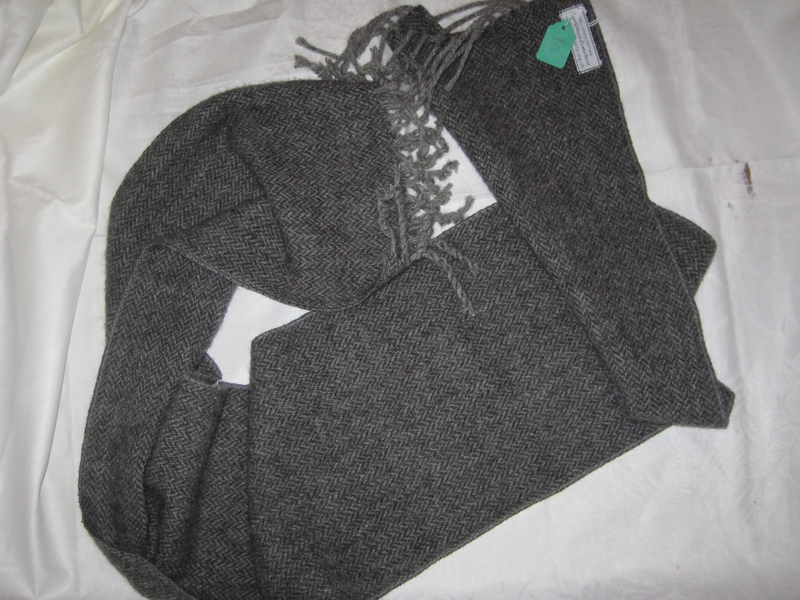 I sort my lambs wool out into 3 shades of grey that is then spun at The Natural Fibre Company. I have made some lovely warm light soft ponchos that are £60 each. 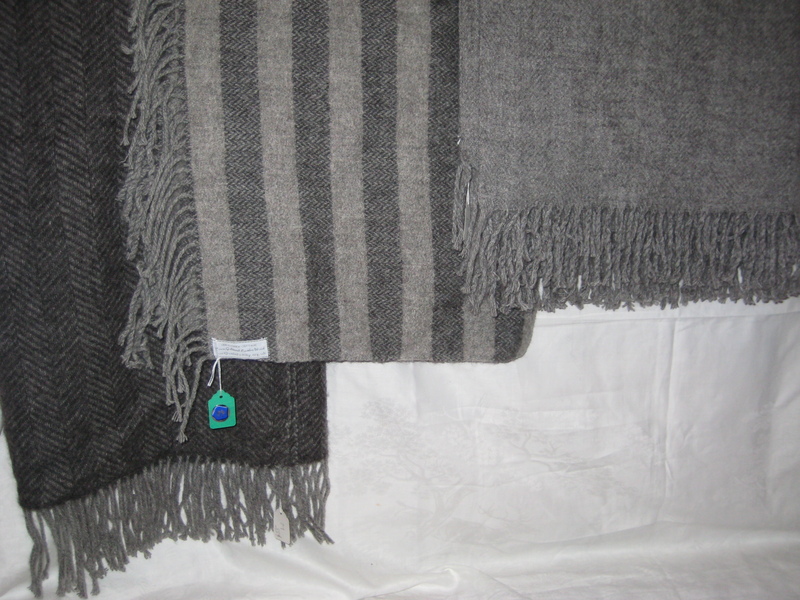 The approx sizes of the throws including the fringes are 150cms x 160cms – £85 each, and 150cm x 200cms – £95 each.